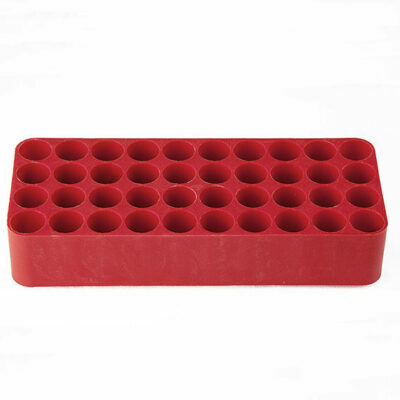 Tetra Test Tube Racks are made from reinforced polypropylene, these test tube holders are suitable for use in both gas and steam autoclaving in temperatures ranging from +150C to -20C. 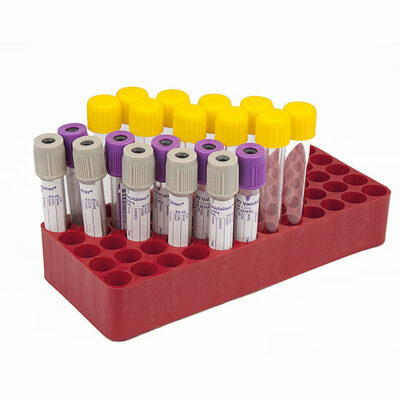 These test tube holders will not be damaged by most biological laboratory chemicals.They are inert and suitable for applications where samples are stored in the rack as it will not contaminate most stored serums or chemicals. 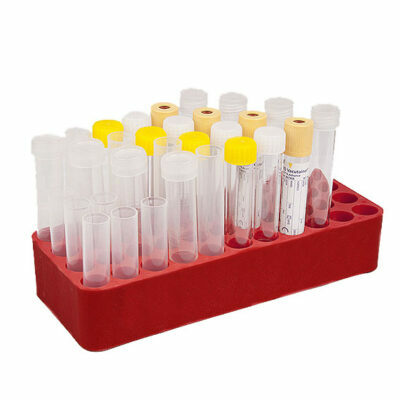 These autoclavable test tube racks are used in a wide range of laboratories including, Biochemistry, Pathology, Biological Science, Protein Chemistry, Veterinary, Agriculture, Biology, Genetics Research, Physiology, Clinical Toxicology, Zoology, Plant Industry, Clinical Pharmacy, Diagnostics, Forensic Science, Botany, Biotechnology. They are also widely used by Hospitals and Blood Transfusion organisations. 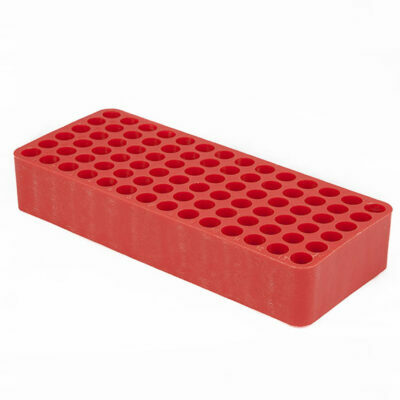 Tetra test tube racks are solid rectangular blocks, perforated in the largest surface by a regular array of holes of the same diameter. 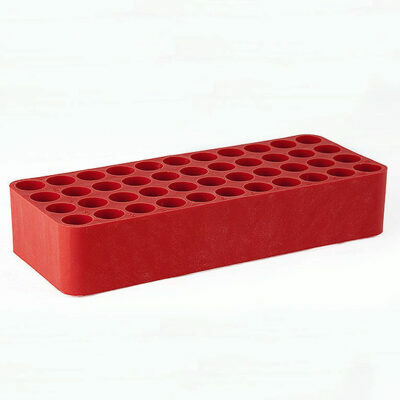 The solid block design makes them physically stable and resistant to tipping because of their low centre of gravity. 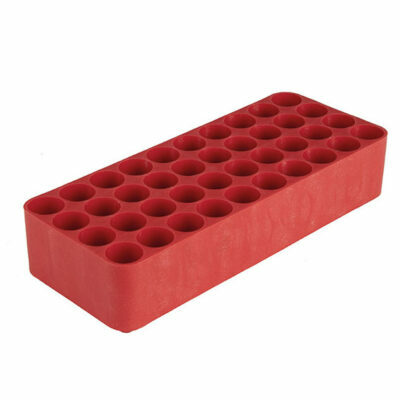 Small feet on the bottom of the block permit them to stand a small distance off any surface and allow the racks to be easily stacked for storage, both loaded or unloaded. 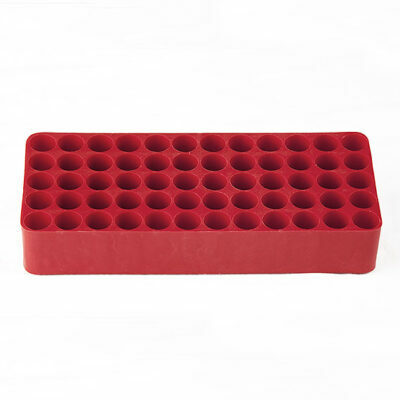 These test tube holders are commonly used for both handling and storing test tubes. 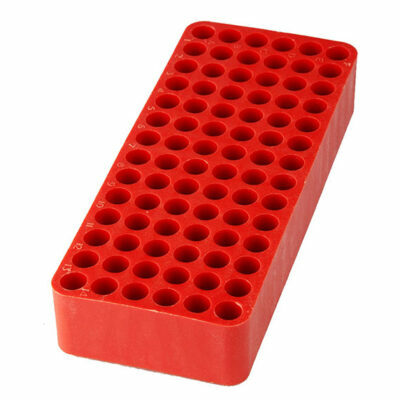 They are particularly useful for large operations or mechanized experiments requiring standard and stable test tube holders. 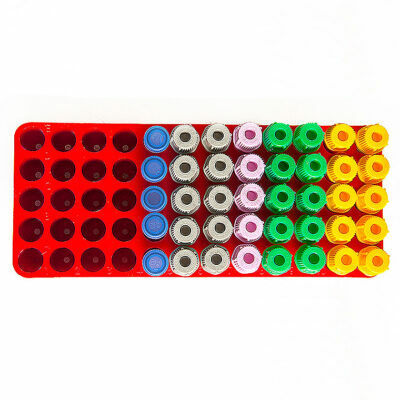 The Racks are available in five different sizes designed to suit test tubes ranging from 8mm to 18mm diameter, including Eppendorf micro centrifuge test tubes from 0.5ml to 1.5/2.0ml capacity. 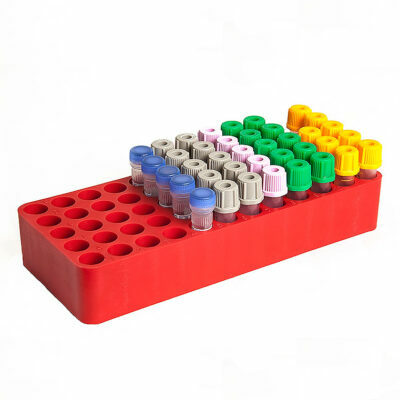 The test tube racks can be purchased in a number of different quantities depending on your needs. We sell the racks individually, but if you really want to save money it is better to buy in bulk. The discounted volumes come in; 1 box of 24, 3 boxes of 24 or 6 boxes of 24. For a full list see our price page. Most orders are processed and shipped within 24 -48 hours (1- 2 Business days) once payment has been received. If we are out of stock you will be notified to discuss options. Orders placed on the weekends or holidays will be processed on the next business day. Orders will be shipped via Trandirect or Australia Post unless other arrangements are made with our sales team. We do not ship orders to P.O.Box addresses. There are two ways you can order the Tetra Racks; for faster processing, order online through clicking on the appropriate photograph below or if you prefer, send our sales team an email at sales@tetraracksaustralia.com with your order or quires and they will be happy to assist you.